Its official! 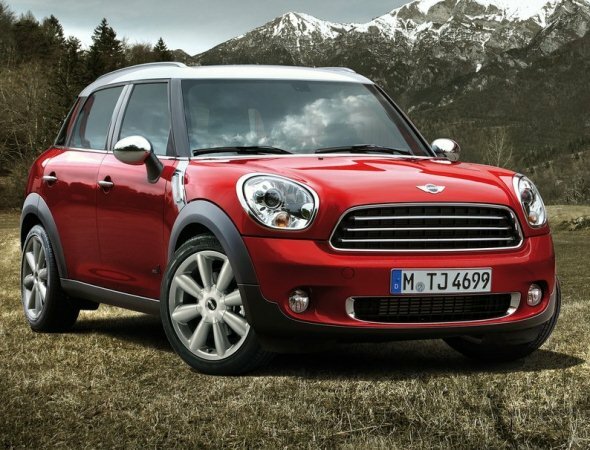 MINI, a brand owned BMW, will launch its entire range of vehicles in India next year. Ian Robertson, Member of the Board of Management of BMW AG, Sales and Marketing said that the MINI brand will come to India with the hatchback, convertible and Countryman range of vehicles at very competitive prices according to Autocar India. In November 2010, CarToq had earlier reported that MINI range of cars will be launched in India. MINI has two brands, the MINI Cooper and the MINI Countryman. The Cooper is a hatchback, also available as convertible while the Countryman is a crossover (between a car and SUV in ride height and shape). Let us have a quick look at that what these models are equipped with, in international markets. 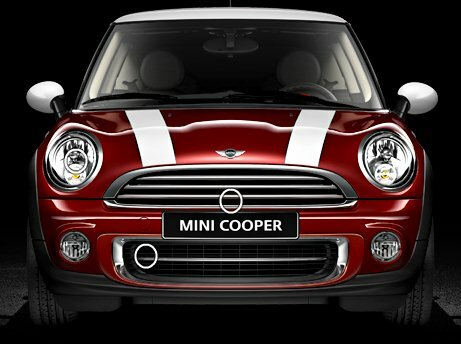 The MINI Cooper has a perfect blend of classic and modern designs. The large, round-shaped headlamps and fog lamps have evolved from the classic MINI design. The side profile flaunts flared wheel arches, attractive 15-inch alloy wheels and blacked out A, B and C pillars giving the car a sporty look. The Cooper’s rear accentuates the car’s width and the bulges on the boot door, give it a ‘packed feel’. The chrome trimmed taillights recall those of the classic Mini cars again. The MINI Cooper is a five seater hatchback and its interiors have been made of high quality materials. Fit and finish is top notch. The dashboard has a retro looking, large speedometer dial mounted at the centre. The MINI Cooper comes in a very wide variety of variants and trims. If we calculate the car’s international price and add the duties applied while importing it to India, we can expect a price of Rs 18 lakh for the base model here. The price can go as high as Rs. 32 lakh for the exclusive high-end variant. The prices of the Cooper convertible might start at around Rs. 20 lakhs. The MINI Cooper hatchback is powered by a 1.6-litre, 4-cylinder petrol engine producing around 112 bhp of maximum power and 160 Nm of maximum torque. This motor can accelerate from zero to 100 kmph in 9.1 seconds and can reach a top speed of 201 kmph. The diesel version of the MINI Cooper is powered by a 1.6-litre, common rail engine that puts out 110 bhp of power and 240 Nm of torque. The engines are mated to either a 6-speed manual or a 6-speed automatic. This motor can accelerate from zero to 100 kmph in 9.9 seconds and can reach a top speed of 195 kmph. When the MINI Cooper is launched in India, it will likely be one of the most premium hatchbacks. It will literally have no competition but at its high price, it won’t be very affordable. The MINI Countryman is a beefed up Cooper with larger dimensions and higher ground clearance. The MINI Countryman is the only MINI to have five doors. The front grille of the Countryman is quite steep and has large cross mesh giving the rugged looks. The side profile reveals the ‘crossover’ nature of the Countryman. The heavily flared wheel arches and blackened out pillars along with the dual tone color combination for the body and roof, makes the Countryman, a very unique SUV. The rear has retro-themed taillamps as in the Cooper, but slightly of a larger size. The interior of the Countryman too, is similar to the Cooper. As expected from a MINI, the interior quality is great and fit and finish is top notch. The Countryman is powered by 1.6 litre common rail diesel engine that produces 112 bhp of maximum power and 270 Nm of maximum torque. The engine is mated to a 6-speed manual transmission. The Countryman petrol can reach a top speed of 180 km/hr while accelerating from 0 – 100 km/hr in 10.9 seconds. The Countryman is also available in petrol version, powered by a 1.6-litre engine that puts out 122 bhp of power and 160 Nm of torque. The engine is mated to 6-speed manual transmission. The Countryman diesel can reach a top speed of 190 km/hr while accelerating from 0 – 100 km/hr in 10.5 seconds. The Countryman is expected to be priced in the Rs. 20 lakh – Rs. 25 lakh range. When launched in India, the Mini Countryman will take on Honda CR-V, Skoda Yeti, Toyota Fortuner and its likes. In May 2011, we reported that Andreas Schaaf, President of BMW India had said that the company was re-looking at both BMW MINI and One-Series cars for launching in India. Cult car brands are yet to become popular in India. The entry of many premium brands must have encouraged BMW to bring its cult brand, the MINI to India. It is yet to be seen as how Indian premium car buyers will respond to MINI models to be priced in between Rs. 18 – 32 lakh. What do you think? « Question of the day: Which is best diesel for power and comfort, under Rs 6 lakh?